This is a list of all active WASHAA Professional Members. Feel free to browse the directory and contact the advocate directly. 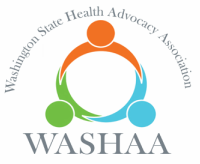 Please see the disclaimer at the bottom of this page as WASHAA does not recommend or endorse advocates. Disclaimer: Listing in this directory is a benefit of WASHAA Professional Membership. WASHAA does not endorse any particular advocate and is not liable for the quality of services provided by the individuals and organizations listed in this directory. All recommendations, comments, and testimonials were submitted to the website by the public and do not reflect the views, opinions, or experiences of WASHAA. While all Primary Members are required to follow WASHAA's Code of Ethics and provide their professional credentials at the time of registration, WASHAA cannot guarantee the accuracy and completeness of the information provided. We encourage everyone seeking a health/patient advocate to research the provider they are considering working with.